Coming July 14, 2018. Like ice cream? Then the Brain Freeze 5K is your kind of race. Head to Burlington, yes, it’s home to that iconic Vermont-based ice cream company with the fun names, but the race website emphatically states that it is in no way directly affiliated with any specific business except for People Helping People Global, a non-profit organization that helps individuals start small businesses. Here’s the scoop (hee-hee, pun intended! ): run 1.5 miles, eat a pint of ice cream, then run back to the start. If you’re not up to eating that full pint, you can register as a Fun Runner and eat as much or as little of the ice cream as you like. Otherwise, register as a Competitor and go full hog, and run, scarf all the ice cream as quickly as you can, then run back and be eligible for time-based awards. 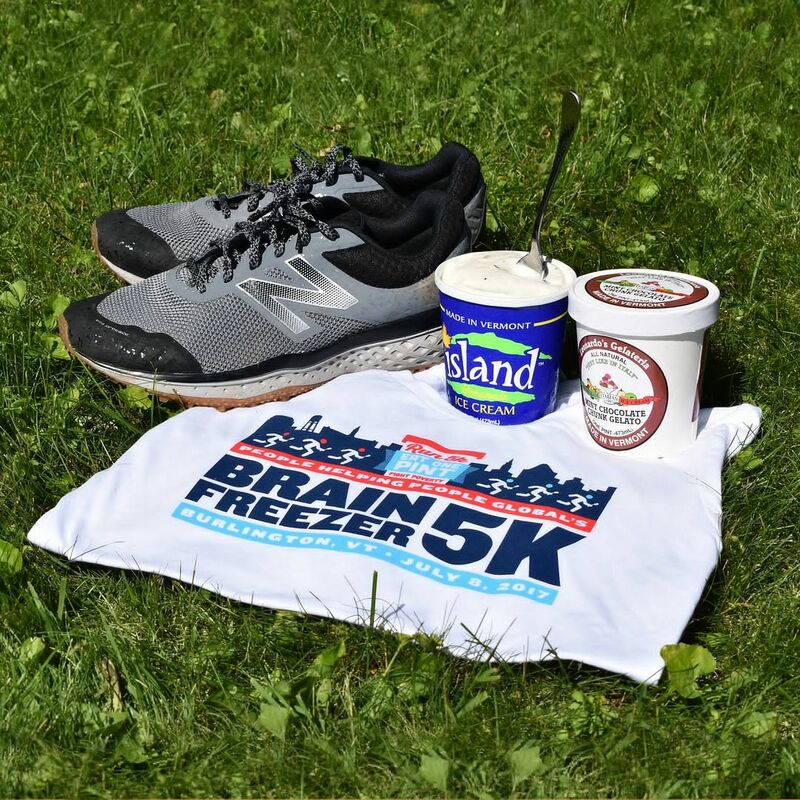 For a “cool” race, sign up for the Brain Freeze 5K!